I work with children (paediatrics) every day. My days usually start with speech therapy at schools then ward patients and outpatients. I am a hospital based speech-language therapist so my days are always busy. I’m feeding a new born in neo-natal ICU or doing feeding therapy with a fussy toddler to general speech and language therapy for children and adults. I like the diversity in my patient caseload as this keeps me on my toes and I am always prepared for a challenge. One of the biggest challenge is speaking to concerned parents daily about their little one. Many parents cringe when they hear that their child needs “therapy” or that they are “special needs”. So, let’s clarify a few things on what speech therapy entails and when you should be concerned. The general rule is as follows: Babies should be babbling during infancy (0-12 months) , toddlers (12-24 months) should be saying words and older children (3 -6 years) should be producing sentences, answering and asking questions, engaging in conversations and singing along to familiar songs. If there is NO speech or communication during these ages then you should be concerned. 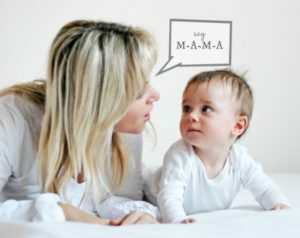 So, your little one is speaking (that’s great!) however you or the teacher cannot understand a word that comes out his/her mouth! It’s common for children to have articulation errors. Remember speech sounds develop at different ages and stages of development. However, you should always be able to understand your child. It should never be a frustration to communicate, either way. The general rule is if you or anyone else close to the child doesn’t understand the child’s speech then you need to be concerned. Cute speech errors are only cute for so long and as your child gets older those habits need to go away. Sometimes they persist like a lisp or a frequent mis-articulation and needs to be corrected- the speech-language therapist can assist with this. Comprehension of language is important for a child to produce or use language effectively. If a child does not understand what a “ball” is then he will not be able to use the word to communicate. When speech-language therapists talk about a child’s level of comprehension or understanding they refer to the ability of your child to follow simple instructions without you pointing or gesturing. Every child should love playing and engaging socially with children and adults. If your child does not engage with other children or prefers to play alone then you should be concerned. Some children are shy and have difficulty making friends however in the younger years (2-5 years) your child should be able to play and engage with children. Children learn through play and engaging with other children. Always encourage them to do so. If they are struggling to do so then speak to a speech-language therapist to get some advice on improving play skills and social interaction. Stuttering is common in young children and children go through a period of normal dysfluency between 2-3 years of age. You should be concerned when the stuttering worsens and it becomes a struggle to communicate effectively. The frustration can worsen the stutter and affect your child’s social interaction and speaking in the classroom. 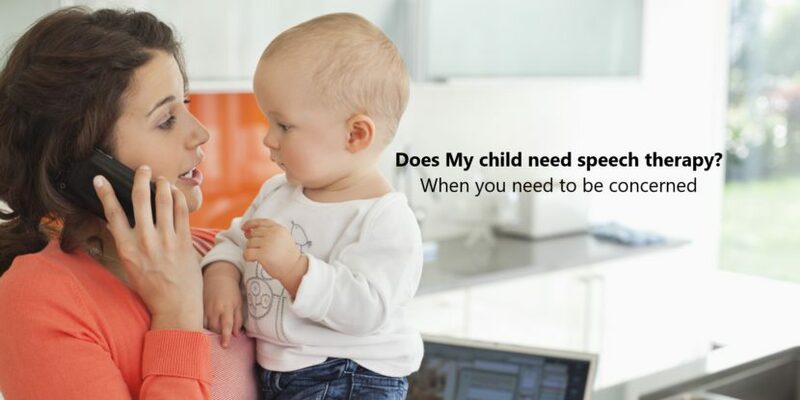 Speak to a speech-language therapist for more information specific to your child’s difficulties. It’s never too early to start speech therapy. Remember early intervention is the key to improved communication and better quality of life.